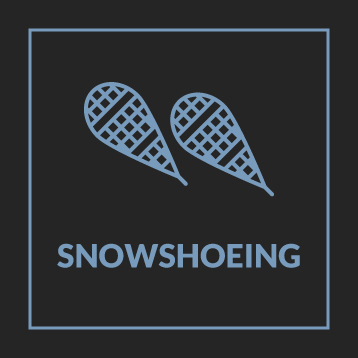 We like breakfast, and we’re sure you do too, so we’ve gone out and sampled every restaurant in the Gunnison Valley to bring you this series on our favorite pre-ski breakfasts. 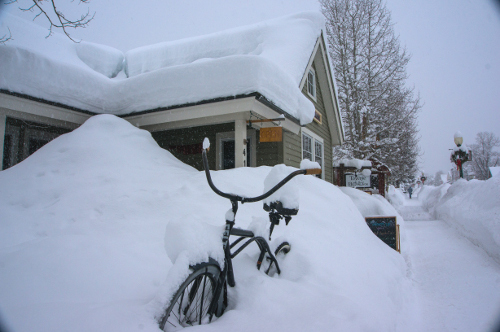 This is installment one and it features all the breakfast spots in the Town of Crested Butte. 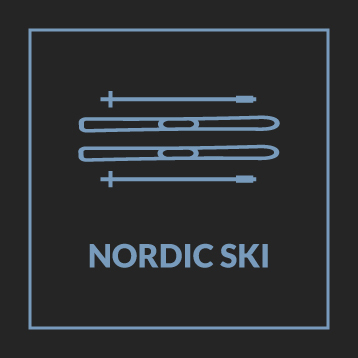 We haven’t included prices, since those may change frequently, but we have noted which places are serving to the ski bum budget. 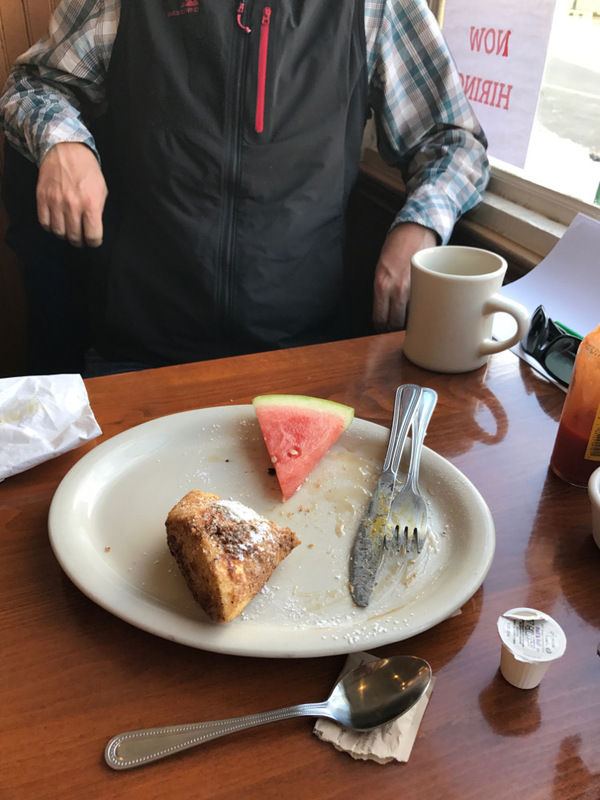 Keep an eye out for Part Two on Gunnison and Almont breakfasts, and Part Three on Mt. Crested Butte and the Base Area at Crested Butte Mountain Resort. 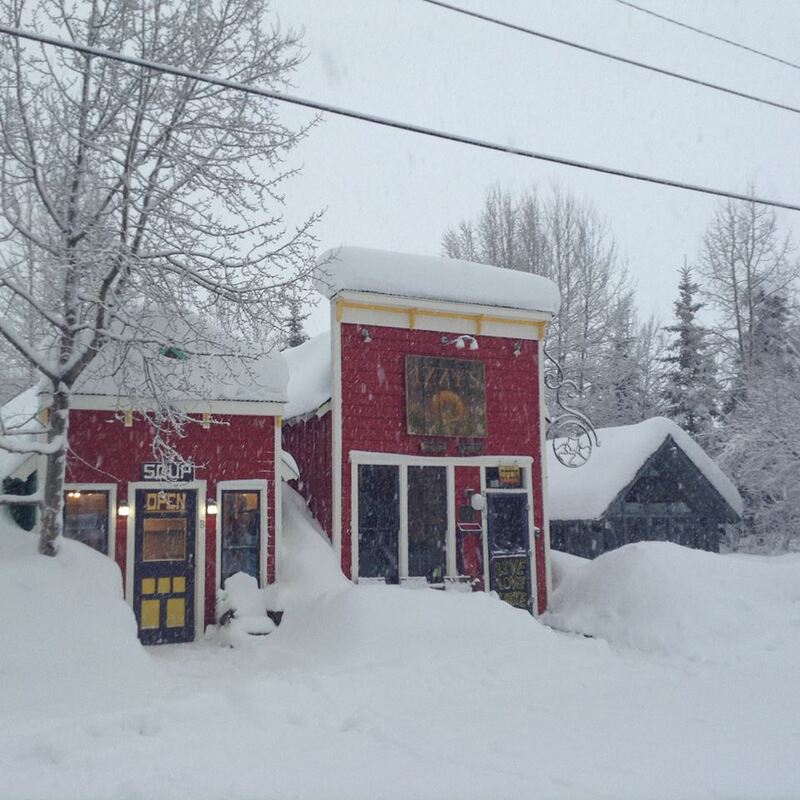 Located in an alley off Elk Avenue, Izzy’s is a staple of the Crested Butte scene. It’s not uncommon to see a line out the door during peak season. They’re known for huge portions on many of their menu items, and some things, like their breakfast wraps, are almost impossible to finish. My go-to at Izzy’s are the bagels, and in particular The Scotty. It’s two eggs, latke, sausage, and pepperjack cheese. A local’s tip is to use the side door to the left. Here Izzy’s has several grab-and-go options that rotate depending on the day and time of day. 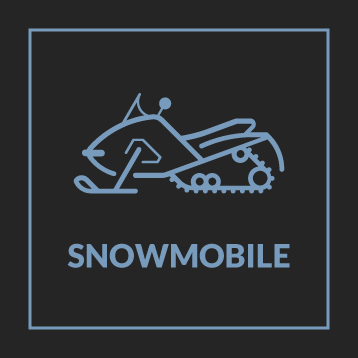 It’s the perfect setup for dashing to the bus on a powder day. Paradise Cafe has the ambiance and the view. 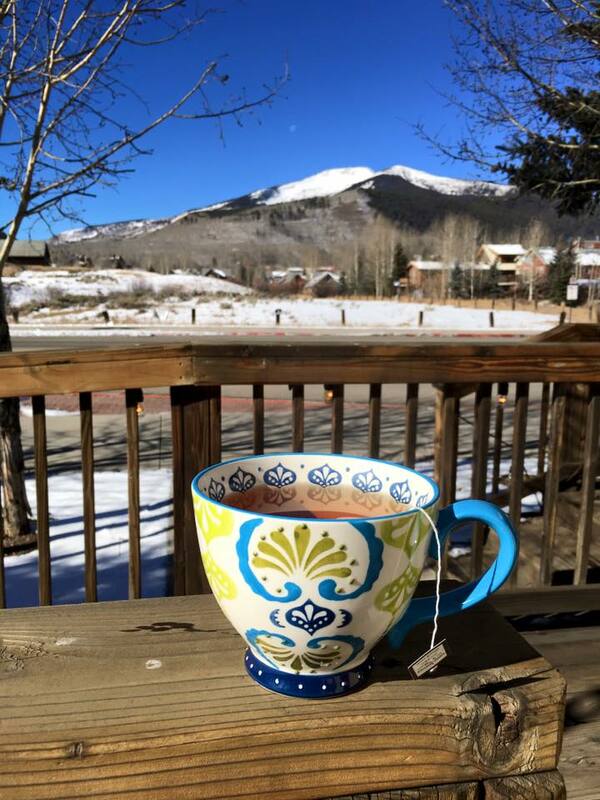 If it’s not too packed, try to grab a window seat and treat yourself to a fantastic view of Crested Butte Mountain while you eat breakfast. 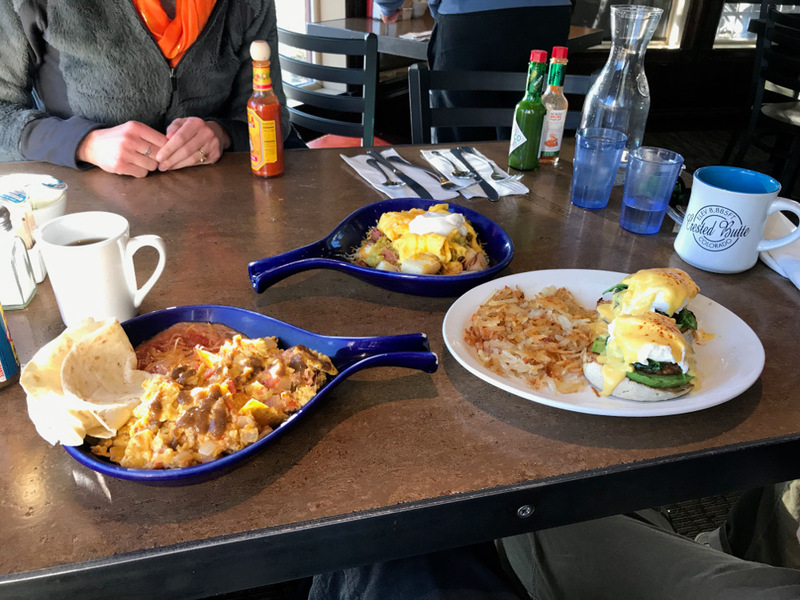 While Paradise doesn’t offer anything quick, it does serve up a wide variety of meals just right for a pre-ski breakfast. My personal favorite is the Migas. It’s an egg scramble with chorizo, tortilla chips, and veggies with refried beans and a tortilla on the side. 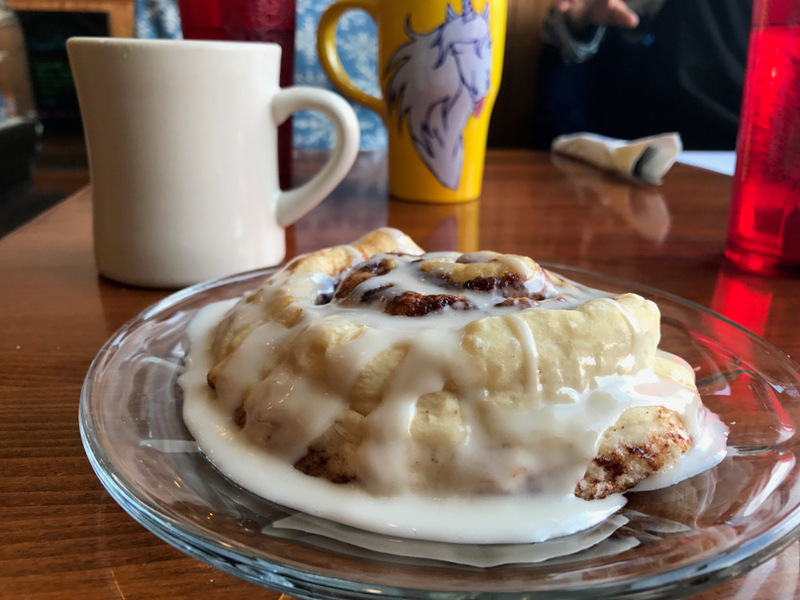 I also have to give a shout out to their Cinnamonster cinnamon roll. I would consider myself a connoisseur and it is one of the best in town. 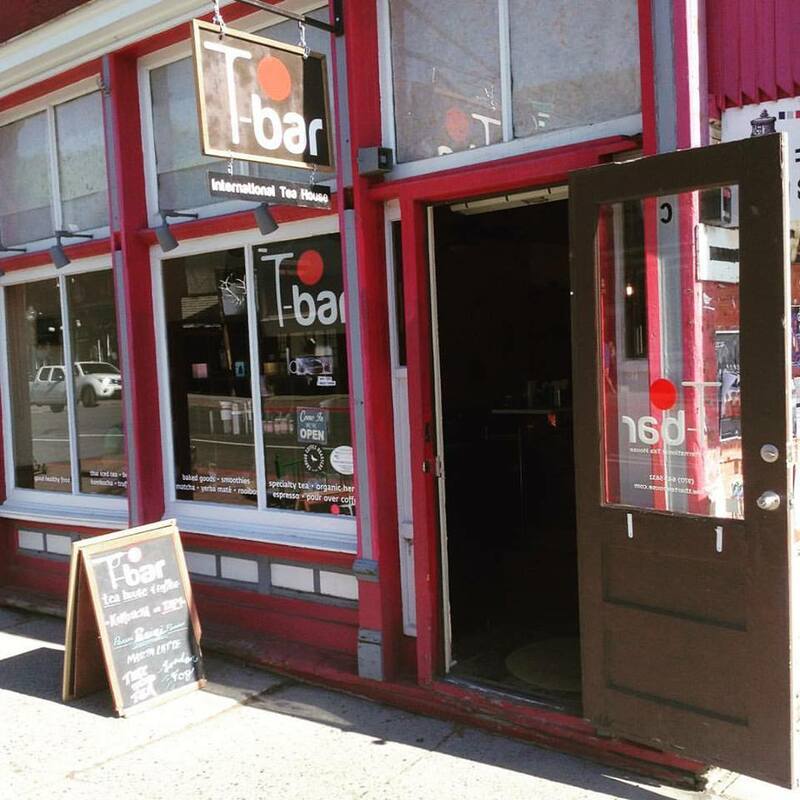 The T-bar may be one of the most well-rounded shops in Crested Butte. Yes, their specialty is tea, but they also serve coffee, and it’s the only place around to get a Bulletproof Coffee without making it yourself. I do have to recommend the tea though. My beverage of choice is the Matcha Latte, but I’ll admit with so many choices I haven’t even begun to tick off their menu list with any sort of accomplishment. They’re a little limited on breakfast food, focusing instead on the lunch crowd, but the Breakfast Panini is pretty delicious. I would also recommend their toasts. My favorite is the Open Sesame with tahini, honey, sweet potato, and cinnamon. It’s a little light for a powder day, but perfect if I’m just going up for a few hours. McGill’s is down-home and delicious. If you’re an early riser like me, you’ll appreciate their 6am opening. Of all the options on the menu, and there are plenty, the Eggs Benedict dishes stand out as their specialty. Several of us at Gunnison-Crested Butte like the Veggie Benedict, Smoked Salmon Benedict, or the Southwest Benedict depending on the day. My personal favorite is the Chorizo Scromelette. It’s similar to the Migas at Paradise Cafe, but spicier with the addition of green chiles and ghost pepper cheese. 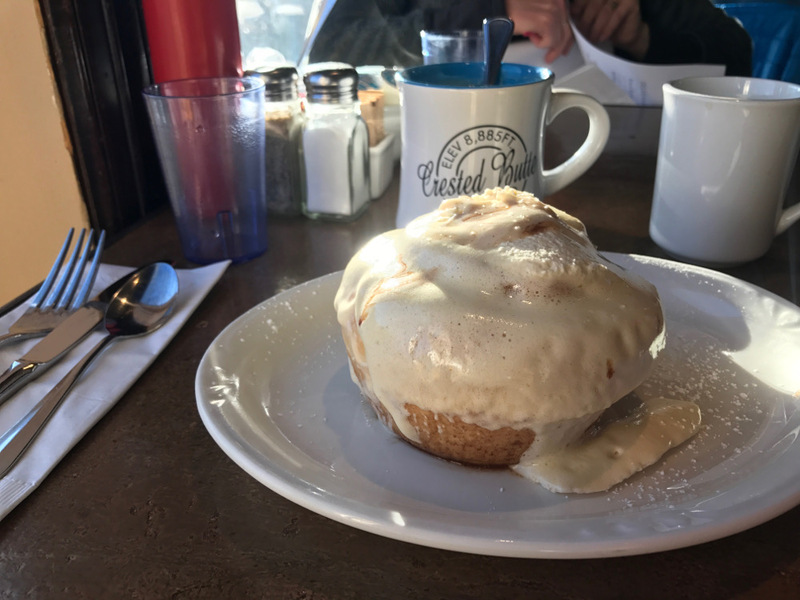 The cinnamon rolls and French toast are also great options at McGill’s. Rumor’s is primarily a coffee spot with a few food options. It’s a pretty good bet for quick food, but it can be difficult to pack on the calories for a big day like you can at some of the other places. 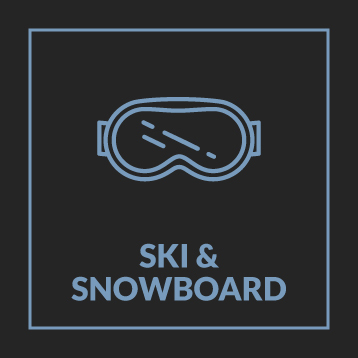 For the ski bum looking to get out the door without spending too much, a cup of grab and go coffee and a handmade donut from 3rd Bowl Ice Cream is the ticket. Get two and you can stuff one in your pocket for a lift snack later in the day. Located all the way at the top of Elk Avenue just past 1st St., The Guild is home to my favorite cup of coffee, and a menu that’s entirely organic and often locally sourced. The setting is quaint and located in an old home that feels cozy throughout. I try to switch up my food choices whenever I visit, but I always fall back on the Pastrami Egg Sandwich. It’s bison pastrami, a fried egg, salsa, and greens on organic bread. While you’re their try one of their Steampunk Coffee selections. I prefer the Hero Day roast, but I’ve never been disappointed by any of their others. 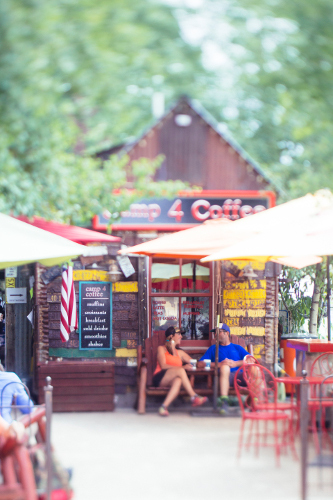 Named after the famous climbing camp in Yosemite, Camp 4 Coffee is also housed in one of the most unique buildings in Crested Butte. It’s small and quaint, and it’s not necessarily set up to let you sit down, making it a great stop on your dash to the bus. While they do offer some heavier breakfast food like bagels with egg and cheese or breakfast burritos, I usually grab a couple pastries and an Americano and run out the door. 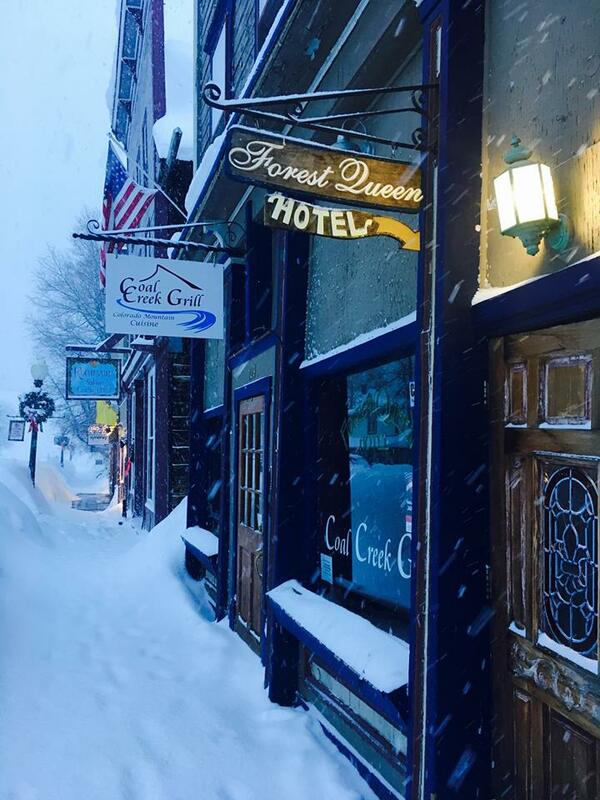 Just like the name implies, Off Elk is one of the few dining spots not on Elk Ave. They’re location is very convenient for anyone staying at the Crested Butte Hostel or at a short-term rental with access to the Teocalli bus stop in town. Off Elk uses their housemade organic ciabatta bread for most of their meals, and they have a whole line of breakfast paninis with the Spicy Pig being my breakfast of choice when I visit. They also have a great selection of pastries on hand for a quicker bite if you’re running through on your way to the bus. 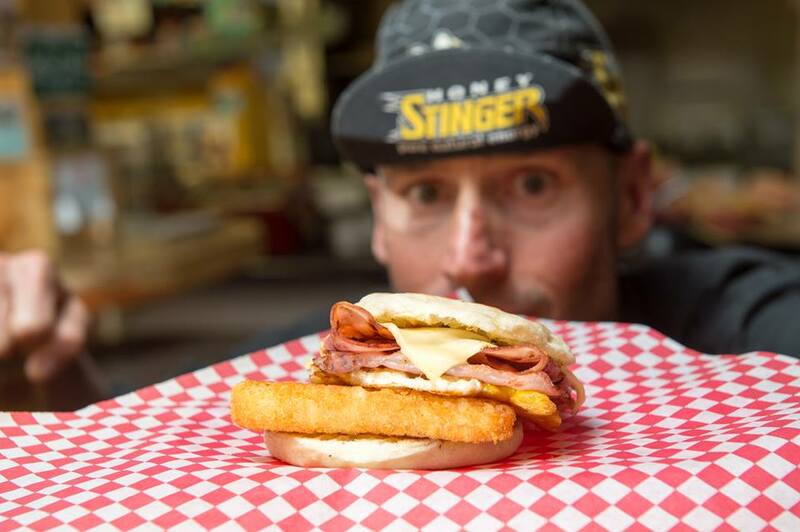 Located right next to Off Elk, The Gas Cafe is Crested Butte’s closest thing to fast food. It’s located inside the gas station right at the edge of town as you head up to the mountain. While it’s not quite fast food, especially when it’s busy, you can call in your order ahead of time or use their online system to place your order. If you plan ahead it’s just as simple as stopping in and grabbing your food. The menu at The Gas Cafe is perfect for the ski bum trying to stuff their face before a long day. I usually go for the Hurley, a basic meat, egg, and cheese sandwich with a hash brown in the middle. 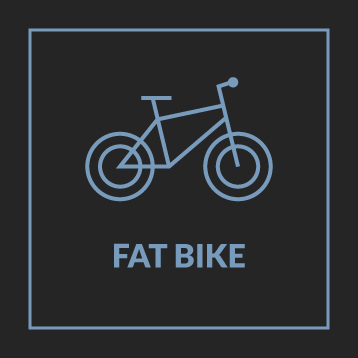 If you’re really looking to fatten up before heading out try the Quad Bypass. It’s a Hurley with bacon, sausage, and ham all added up to one huge breakfast. When I go to A Daily Dose my preferred breakfast is a quick cup of coffee and a muffin, but that’s because I’m not into the smoothie scene. If you are, you won’t find a better spot this. One my coworkers loves their smoothie selection, and I do have to say it sounds pretty good. Her smoothie of choice is the Jungle Boogie. With avocado and coconut milk it makes a filling meal that she swear fills her up until lunch. A Daily Dose is close to the beginning of town, right next to Clark’s Market. It’s a convenient spot with close access to the lodging in that area and a bus stop right next door. 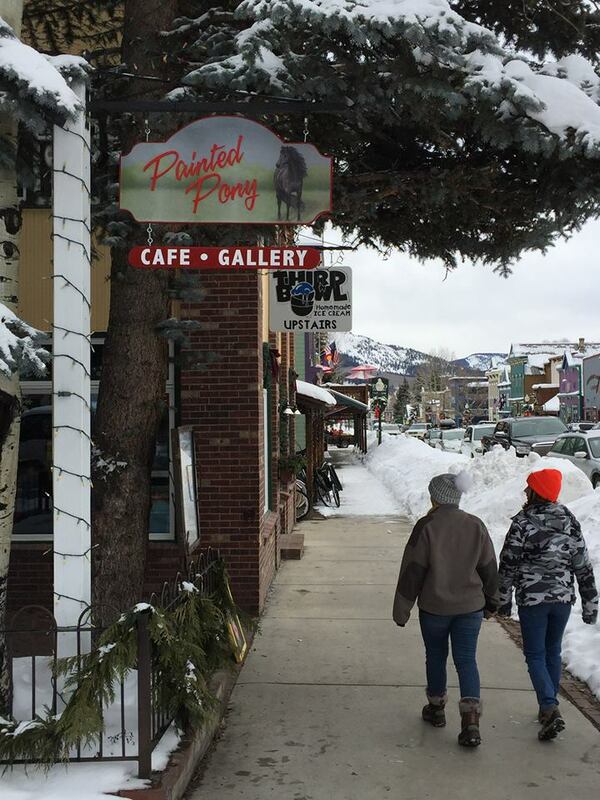 The Painted Pony Cafe might just be the best spot in town for the ski bum trying to grab a quick breakfast without breaking the bank. The meals are simple and filling at Painted Pony. 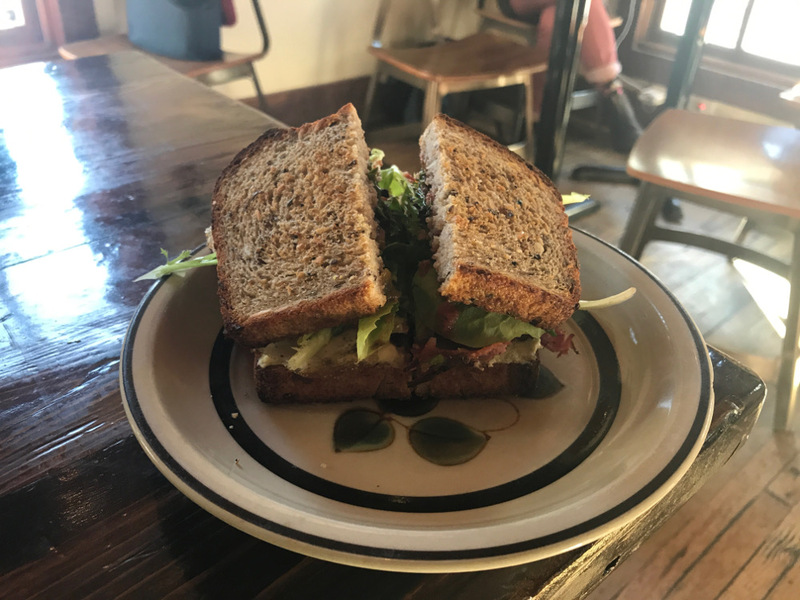 Most everything comes in panini form which makes it a great option for filling your pocket with breakfast and lunch before you head up to the mountain. I usually get the basic bacon, egg, and cheese, but the sprouts, egg, cheese, and pesto is another good option for the vegetarian skier in your crew. Even though they’re inexpensive the Painted Pony uses Gruyere cheese on all their breakfast paninis. I think it’s a great touch. 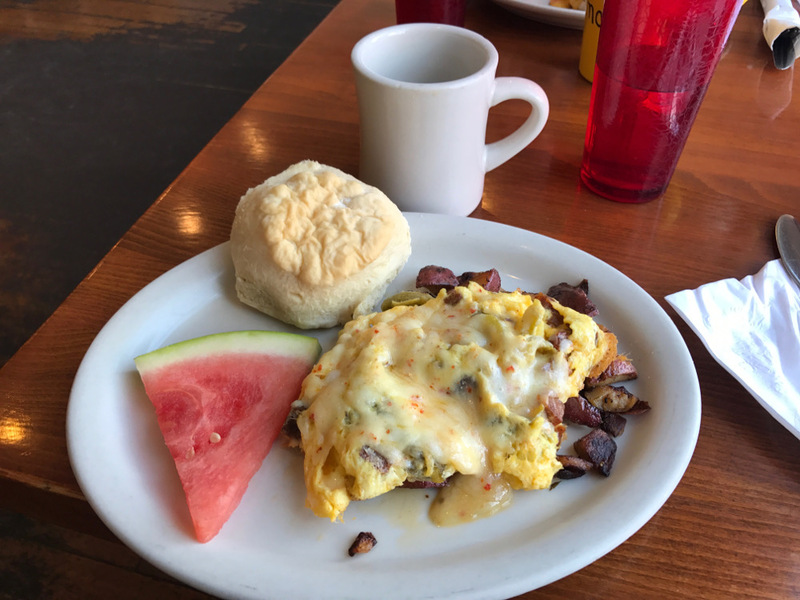 Known for having one of the best happy hours in town, Coal Creek also makes a mean breakfast. There are plenty of options on the menu for the hungry and famished. Most of their menu is pretty standard breakfast food at a reasonable cost. My preferred meal of choice though is the Lemon Ricotta Pancakes. The icing on the cake, so to speak, is the Raspberry Syrup that comes with it. I don’t know if I’ve ever enjoyed a pancake as much as theirs.